The Watson Content Hub gives business owners the power to create iconic, robust and consistent brand experiences using cloud-based, cognitive content management capabilities. 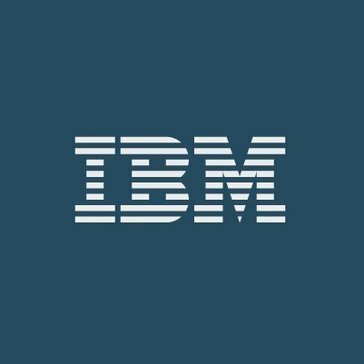 Work for IBM Watson Content Hub? Learning about IBM Watson Content Hub? "Easy to use and powerful features." IBM Watson content hub provides a solid platform to centralize, manage and distribute your content. This platform provide a solid core CMS and feature rich integration to a number of third party platforms. Would like to see it continue to grow its footprint in the competitive market place against rivals like AEM. eCommerce rich site user experience is handled by using this platform. INtegration with Akamai and Watson for tagging of images. The fact that updates are managed in the cloud makes it easier to manage the product. Upload images once and use in many locations. This has simplified the content editing process. It's new and has a fairly steep learning curve. Ability to easily store content and acess content. Previously, we had several files saved across platforms and in several places, this helped to merge everything into one place. The REST APIs are easy to use and there are plenty of developer samples to get up and running. The authoring UI is decent. The CLI is useful. Creating pages and layouts for sites is confusing and overly complicated. Easy to use and perfect for enterprise level application. We are using currently for muktiple customers across the globe. I like that Watson is better at identifying problems and solutions than any human could ever be. Every organization may not have the budget for it. Watson Content Hub helps us to find the precise content to delight audiences and build loyal brand advocates in a manner that we can't ourselves. Thank you for your positive feedback. We love to hear that our clients are finding our solutions to be beneficial to their organizations. "Take Control Of Your Content"
Watson Health Content and IBM focus on creating win/win partnerships. Slowness of changes and beuraccracy. Sometimes not in front of technology changes. The access, avalalbility and cost of healthcare. Ease of accessing relevant content. Thank you for sharing positive feedback. We are continuously taking user feedback into consideration as we make updates to our solutions. * We monitor all IBM Watson Content Hub reviews to prevent fraudulent reviews and keep review quality high. We do not post reviews by company employees or direct competitors. Validated reviews require the user to submit a screenshot of the product containing their user ID, in order to verify a user is an actual user of the product. Hi there! Are you looking to implement a solution like IBM Watson Content Hub?